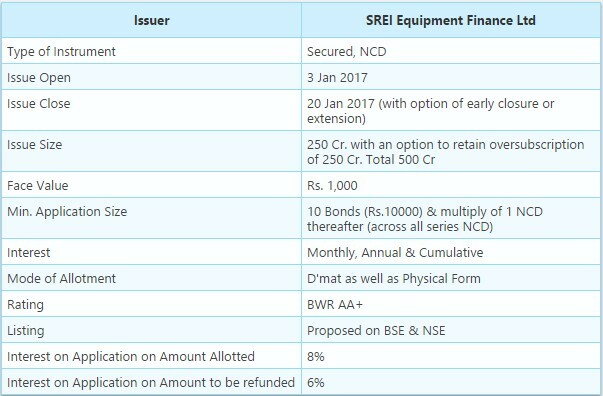 SREI Equipment Finance Ltd is coming out with its public issue of Secured, Redeemable, Non Convertible Debentures (NCDs) of face value of Rs. 1000 each aggregating to a total of upto Rs. 250 Cr with an option to retain oversubscription upto 250 Cr aggregating to a total of up to Rs 500 Cr. SREI Equipment Finance , one of the leading Non Banking financing companies in the organized equipment financing sector in India with a principal focus on financing infrastructure equipment. 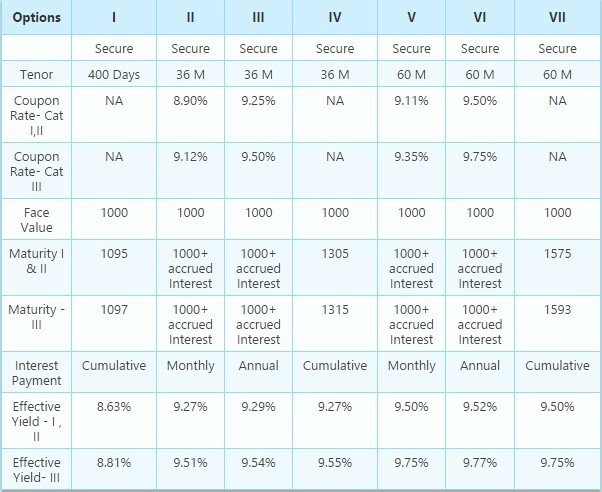 The funds raised through this issue will be utilised by the company for various financing activities including lending and investments, to repay existing liabilities or loans and towards business operations including for capital expenditure, working capital requirement and other general corporate purposes. Coupon N.A. N.A. 8.90% 9.12% 9.25% 9.50% N.A. N.A. Coupon 9.11% 9.35% 9.50% 9.75% N.A. N.A.